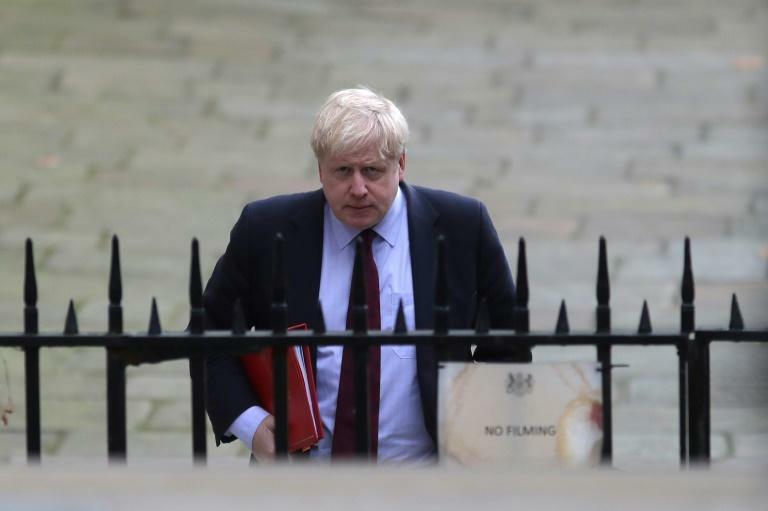 British Prime Minister Theresa May's Brexit blueprint came under heavy attack on Monday, with pro-Brexit figurehead Boris Johnson calling it a surrender that hands "victory" to EU. Johnson, who resigned as foreign secretary in July over May's proposed future relationship between London and Brussels, launched a fierce broadside at the PM to kick off parliament's return to business after its summer break. Meanwhile 20 MPs in May's centre-right Conservative Party publically pledged to reject her so-called Chequers plan, which would keep Britain close to the EU on trade. May's sea of troubles swelled after the EU's Brexit negotiator Michel Barnier strongly opposed her blueprint, saying it could lead to the downfall of European integration. Writing in The Daily Telegraph newspaper, Johnson -- the bookmakers' favourite to take over from May -- said Britain has "gone into battle with the white flag fluttering over our leading tank". "The inevitable outcome is a victory for the EU, with the UK lying flat on the canvas with 12 stars circling symbolically over our semi-conscious head," he said. Johnson claimed the real "scandal" was "not that we have failed, but that we have not even tried" on Brexit. Responding to Johnson's attack, May's official spokesman said: "Boris Johnson resigned over Chequers. There's no new ideas in this article to respond to. "What we need at this time is serious leadership with a serious plan and that's exactly what the country has with this prime minister and this Brexit plan." The plan envisages Britain leaving the single market but staying in a free trade area for goods and agri-foods through a customs deal and common rulebook with the EU. Johnson and his fellow hardline Brexiteers think the Chequers plan, named after the PM's country residence, keeps Britain too closely aligned to the bloc. Twenty Conservative MPs made a joint public commitment Monday to block May's proposal, joining the StandUp4Brexit campaign. They said Chequers would hamper Britain's ability to strike its own free trade deals, cut Northern Ireland off from the rest of the UK and keep the European judiciary ruling over Britain. May's Conservative minority government has a working majority of nine votes in parliament's 650-seat lower House of Commons, thanks to the backing of Northern Ireland's nine Democratic Unionist Party MPs. However, the Commons chamber is broadly split into four camps. Some MPs ultimately want Britain to remain in the EU; some want a complete break with Brussels; some back Chequers; while others want a different type of Brexit. Former Brexit secretary David Davis, who like Johnson quit over Chequers, backed May to stay in her post. "It is absolutely possible to dump Chequers without changing leader," he told The Times newspaper. Barnier opened the door to a brief extension of talks to nail down a deal, saying negotiations must be completed "by mid-November". But, speaking to German newspaper the Frankfurter Allgemeine Zeitung, he reiterated his hostility to Chequers. "I strongly oppose the British proposal," he said. "We have a coherent market for goods, services, capital and people -- our own ecosystem that has grown over decades. You can not play with it by picking pieces." May insisted Sunday that she would not be railroaded by Brussels as the talks come to the crunch. "I will not be pushed into accepting compromises on the Chequers proposals that are not in our national interest," she wrote in The Sunday Telegraph newspaper.